Driven Drilling LLC provides all of your drilling needs throughout central Minnesota. We specialize in residential water drilling, Horizontal Directional Drilling and Geothermal Drilled Loopfields. 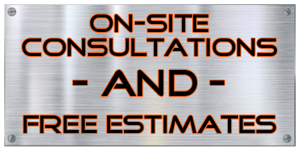 Our mission is simple- to provide our customers with professional drilling services and a product of the highest quality. We have the most modern drilling equipment in the industry to ensure your project will be done quickly, efficiently, and with as minimal impact as possible to your property. Copyright © 2019 Driven Drilling. All rights reserved.